Special hours: Open for beverages until bar closing time Tuesday - Saturday. The 17 German beers on tap, and 200 bottled imports, live oompah music, polka dancing, and free shuttles to UW football games help explain why the place is packed almost every evening, and not just during Oktoberfest. 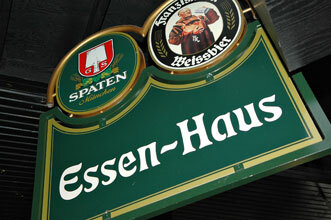 Many know Madison's Essen Haus as an energetic German-style, old-world beer hall.